With years of experience, The Bathtub Medic Fresno provides bathroom tile cleaning, resurfacing & tile refurbishing services in Fresno, CA. Using steam at over 300 degrees, we can remove several years’ worth of soap scum and mineral buildup without the use of harsh and potentially dangerous chemicals. Using the steam as a cleaner also avoids hours of scrubbing and possibly damaging the grout which would require you to re-grout it. At The Bathtub Medic Fresno, we know that renting a steam cleaning machine to clean your bathroom tiles is an option, however it’s not always the safest. Modern steam cleaners typically have a variety of safety features, however sometimes that isn’t enough. Our professional team knows what surfaces are safe to clean with steam, and which can cause potential hazards. Tile resurfacing is an affordable alternative to completely replacing all the bathtub tile in your home. The Bathtub Medic Fresno offers tile resurfacing services to provide a new, durable finish to your tile, eliminating cracks and chips that can eventually spread to become larger problems in the future. Fresno tile resurfacing is available in a selection of colors to transform your bathroom at a fraction of the cost. When it comes to polishing up your porcelain lounge, the task at hand is anything but a joke. Done right, bathroom tile steam cleaning and resurfacing services can leave your bathroom looking brand new, and still save you a lot of money. Request a Quote Today from the professional at The Bathtub Medic Fresno today for more information! Wayne and his crew are absolutely fantastic and 5-stars is not enough! 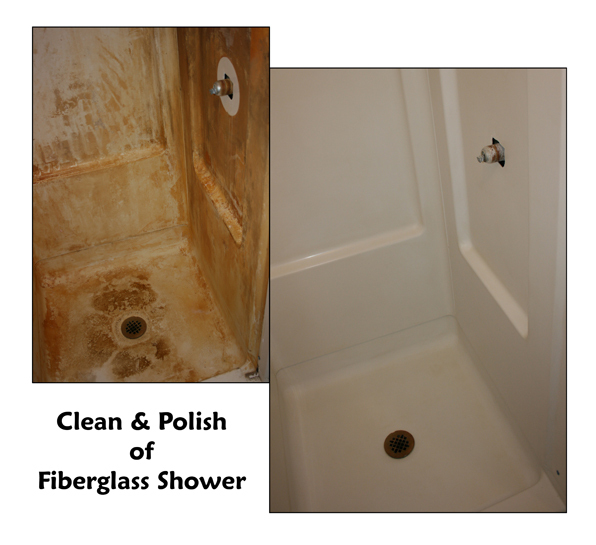 We recently purchased a home with a bathroom that required some major cosmetic help. No matter how much elbow grease and different cleaners I used, the grit and discoloration would not come out. There were tiles in disrepair and holes from a glass slider before. I called Wayne and he was incredibly helpful in walking me through the process and steps of the project. We were able to secure a spot within the next week! They were extremely flexible in working around our schedule and took the time to listen to us. Not even a call from jury duty kept them from finishing on time. Thank you again! You saved us thousands by not having to remodel the bathroom! !